Kristen Nix is a Hyatt Privé travel advisor. 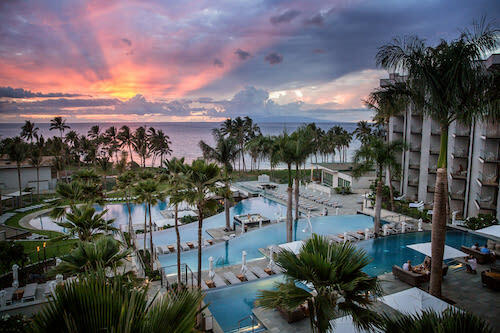 All clients will receive value-added amenities, VIP status, and access to exclusive promotions when staying one or more nights at Park Hyatt or Andaz hotels, or when staying for two or more nights at Grand Hyatt, Hyatt Regency, and The Unbound Collection by Hyatt. Hyatt Privé is very similar to the Four Seasons Preferred Partner program. 2. Kristen will send you Hyatt Privé room rates and property-specific benefits, and would be happy to answer any questions you have. No. Kristen Nix does not charge any fees when booking hotels and resorts. How does the Privé upgrade work? The Privé program includes a one-category upgrade that is confirmed within (approximately) 24 hours of booking, subject to forecasted occupancy. The upgrades are one-category, from room-to-room, and suite-to-suite. World of Hyatt Globalist, Explorist, and Discoverist members are eligible for a further upgrade at arrival, based on availability. I am a World of Hyatt member. Will I earn points and credit towards tier status with a Hyatt Privé reservation? Yes. Your reservation will be booked directly with Hyatt and your World of Hyatt number will be attached to your reservation. You will earn points and tier status, as usual, when booking your reservation at the Hyatt Privé rate. I am a Globalist (or Explorist). Will I receive all of my tier status benefits with a Hyatt Privé reservation? Yes. Guests may receive both their World of Hyatt loyalty program benefits as well as the Hyatt Privé benefits. For overlapping benefits, the guest receives the better of the two benefits. I am a Globalist. Can I use a Suite Upgrade Award with a Hyatt Privé reservation? Yes. Once your Privé reservation is complete, you will need to call World of Hyatt to have your Suite Upgrade Award attached to your reservation. I am an Explorist. Can I use a Club Access Award with a Hyatt Privé reservation? Typically, you will be able to use your Club Access Award with a Hyatt Privé reservation. Occasionally a Club Access Award is not combinable with special Privé offers. You will need to contact World of Hyatt for eligibility. Can I add my World of Hyatt points to a Privé reservation to receive a further upgrade? No. World of Hyatt points can not be combined with a Privé reservation.